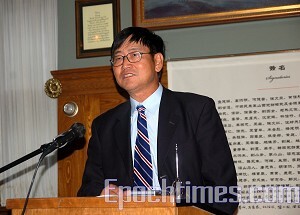 RHODE ISLAND—The China Democracy Party (CDP) Overseas Headquarters held its First Party Congress at the Hope Club of Brown University, Rhode Island on June 4. 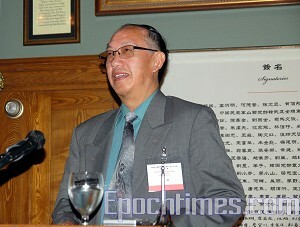 Approximately 50 overseas representatives and guests attended the event. Nancy Pelosi, Speaker of the U.S. House of Representatives, sent a congratulatory message. The CDP was established in 1998. 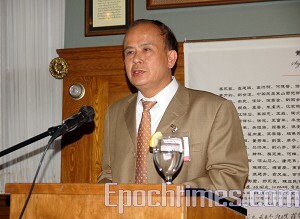 Due to persecution and imprisonment by the Chinese Communist Party, some of its leaders have been forced into exile overseas. The First Party Congress was convened to amend the party's constitution, improve on overseas work, elect exiled overseas leaders and define recent projects. 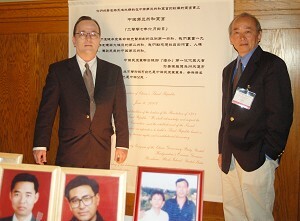 At the same time, photos of the June 4 Tiananmen Square Massacre were displayed in commemoration of the event's 18th anniversary. 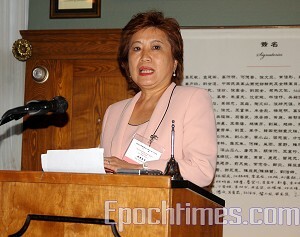 Xu Wenli, convener of the CDP's First Party Congress, read the declaration of China's Third Republic. This Declaration was chosen as one of the Party's most important missions in voting by 25 official congress representatives. Congresswoman Nancy Pelosi reiterated the importance of freedom and democracy in her congratulatory message. 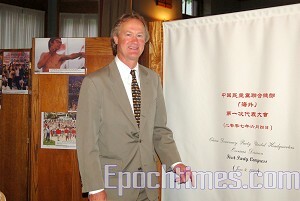 Lincoln Chafee, a former Senator and currently a visiting scholar at Brown University, favored the CDP's efforts to bring freedom to China, saying that Americans had once gone on the streets to fight for freedom and protest against war. 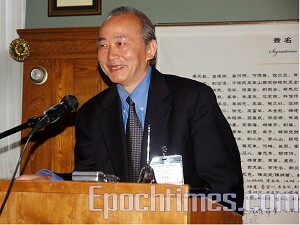 Other guests and speakers at the event included The China Social Democratic Party leader, Liu Guokai, Chinese Labor Party leader, Fang Yuan, Taiwan Foundation for Democracy Vice President, Yang Huang May-sing, Friends of the CDP, Sidney Gunst and Noah Sachs, and China Democracy United leader, Xue Wei all attended to celebrate the First Party Congress of the CDP. 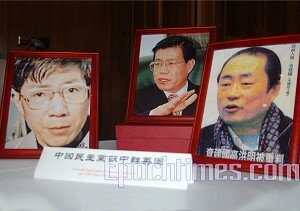 The opening ceremony was hosted by CDP Secretary Wong Ming, and Party consultant Wang Xizhe announced the award winners. Elections for the leaders of the overseas division of the CDP were scheduled for the following day. All the day's activities were broadcast live over the Internet.